CLUE DARE دکھانا. . Wallpaper and background images in the CSI:NY club tagged: csi:ny. 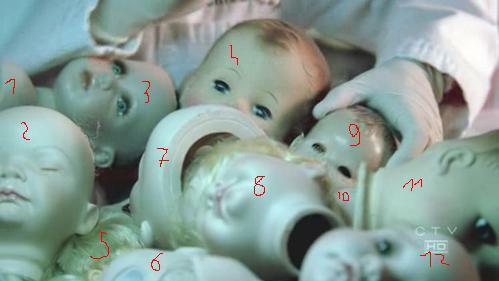 Ok is there any need to be rude, but I still stand by my statement those are not clearly visible doll heads. If my questioning your quizzes bothers you I wont answer them any more. It doesn't bother me..no no no..don't get me wrong..I'm sorry for being rude..